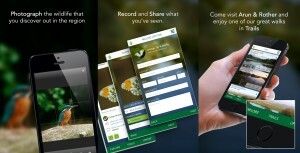 Go Wildlife Spotting With The ARC Explorer App! Looking for something to do over Easter? Why not try going on a wildlife walk around Arun and Rother with the ARC Explorer app! The ARC Explorer app (and website) is a fun and engaging way for people of all ages to experience and explore the Arun and Rother rivers and surrounding countryside in West Sussex, and learn about the wildlife of the area. The app showcases a number of walking trails that people can follow in the Arun and Rother area, including information about places of interest, cafes and toilets on the route. 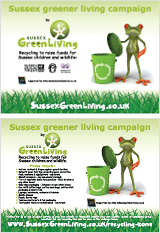 Once out and about, users will be encouraged to submit sightings of wildlife and invasive species via the app – data that will assist those working in conservation in the region as it is passed onto the Sussex Biodiversity Records Centre. People can collect badges for each of the species they record, with new species being added all the time, and share what they’ve found with other users. Another feature, Upkeep, allows people to capture images of things they have encountered in the area that raise questions or concern. For instance; the flooding of a particular area or an unidentifiable species. These images are published to the community feed for others to respond to and feedback on, driving community participation in the education, management and maintenance of the area. The technology for the app has been developed as part of Arun and Rother Connections (ARC), a three-year landscape scale project supported by the Heritage Lottery Fund to promote a rich and thriving river system where wildlife flourishes and people value the natural and cultural heritage of the area. 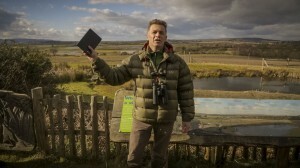 The app was launched in February with a fun wildlife walk, led by Chris Packham, host of Springwatch. The kids really enjoyed using the app to record the wildlife they saw, and Chris gave a brilliant speech about how technology can help us connect to nature, rather than cut us off from it. So just head to our website, www.arcexplorer.org.uk to find out more, and go to the bottom of the page for a download link. Then get outside and start spotting the wonderful wildlife of Arun and Rother!